The goal of this guide is to approach keyword research for SEO from it's roots and build toward the more technical aspects. The keyword difficulty data above was gathered using Moz's keyword difficulty tool on 1/5/13. 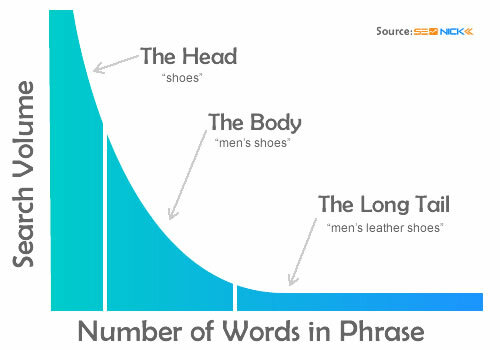 It's worth mentioning that in my experience, this really only ever happens with queries that contain brand names, 9 out of 10 long tail terms are going to be less difficult to rank for than their body and head counterparts. For those of you unfamiliar with the idea of keyword difficulty, it is a lot like what it sounds like; a relative measure of how competitive it is within organic search results. A higher keyword difficulty score means that is going to be more difficult to gain high natural rankings than a keyword with a lower score.